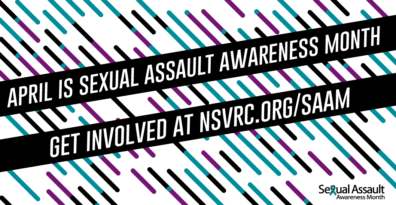 WARNING: This article contains information about sexual assault and/or dating violence which may be triggering to survivors. For many survivors of sexual assault and interpersonal violence, the only person they will ever share their story with is a trusted friend. These experiences carry with them an inordinate amount of shame, self-blame and secrecy. Survivors will often question their decisions or their worthiness to be in a safe and respectful relationship. This is why it is so important that friends know how to respond without creating any further harm. If you haven’t already found yourself on the receiving end of someone’s story, you might someday. Here are some important things to consider. Avoid responding with “I understand” or “It’s going to be ok.” We want to offer a message of empathy and hope when our friends are struggling, but even if you have experienced interpersonal violence, your story is yours. And your friend’s story is his. This isn’t about you, so don’t empathize by telling your story. Save that for another time. Instead, focus on listening and helping your friend in the way that he has asked you to – no more, no less. Let him stay in control of your level of support. Let your friend share whatever she wants with you. Don’t ask questions to clarify what happened or better understand the story. Simply listen and offer support. Make use of community and national resources that are available to both you and the survivor. You may want to offer to go with your friend to a first appointment or support group, or help her make that first phone call. If she wants to go on her own, honor that boundary. If she tells you she is not ready to talk to anyone else, honor that boundary too. Hearing a friend’s story can be quite difficult and may have a significant impact on you. Many organizations also offer guidance to those who are supporting survivors. Remember to take care of yourself so that you can continue to be a supportive friend. Here are resources in Spokane, and you can also get more information on Self-Care for Friends and Family of survivors. Your friend is still the same friend he was before. Don’t feel like you need to bring up the situation every time you see him. It’s O.K. to check-in periodically and remind your friend that you still care. If he brings it up, remember to listen and offer support. Often, survivors would like nothing more than for life to go back to how it was before. Sometimes being that trusted friend puts you in a position to offer that comfort.